We’re off on our travels tomorrow, taking in Germany, Slovenia, Croatia and a number of other countries where fluent command of the language is not part of our skill set. Oh, we’ll manage; Marigold’s ability to communicate with just about everyone she meets breaks through all linguistic barriers. Random gesticulations/gurning and the ability to say, hello, goodbye, please, thank you and goodbye will suffice. We managed three weeks in the Ukraine with much less. 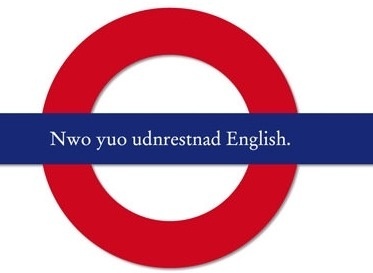 A week or so in a country is easy enough, but to actually live in a land where English is not spoken demands making an effort to assimilate. We lived for many years in Spain and on arrival decided we must, absolutely must, learn to speak to our new neighbours. We’d never intended to become part of an expat community. We avoided English speakers when we heard their dulcet tones during visits to the village to stock up on supplies. Competa was a thriving village back then, not so much now in this age of austerity, with a fair number of foreign residents. Brits, Germans, Swedes, Danes and a few others, all living in the tranquillity of a mountain village in Andalucía. A chance meeting with fellow Brits, from Bolton as it happens so not beyond the pale, led to our presence at the opening night of a ‘speak Spanish like a native’ group. We’d lived in France for years; could speak the language reasonably well, but Spanish was proving more difficult. Andalucía isn’t Catalan Spain. Imagine you’re a foreigner in England, had learnt a few phrases, imagined yourself to have a modicum of familiarity with the language. Now imagine everybody you meet being a Geordie: that’s rural Spain in a nutshell. ‘Ola,’ the leader said. ‘Ola,’ we chorused, smiling smugly at our mastery of this essential word. This was to be the high point of the evening. 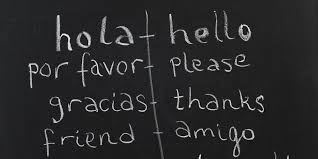 As we progressed to the next stage, simple phrases meaning good morning, thank you, how much is that, please – the absolute starting point of language learning – a commotion broke out behind us. A red-faced man wearing baggy shorts and a Union Jack tee shirt stood up waving his arms about and gesticulating furiously. ‘Sit down, Bernard, yer daft so and so,’ the woman next to him shouted. She was, like Bernard, in her forties, frizzy dyed hair, tattoos on both arms, built like a stevedore. ‘Over my ‘ead,’ Bernard shouted, shaking her off. No easy task. She lit a Rothmans, puffed away, her mad hair framing a face contorted with anger. The class leader, a woman of seemingly limitless patience, moved through the crowd, stood next to the voluble Bernard at last. ‘You do not understand?’ she asked. We looked at each other. We’d only covered the absolute basics so far, yet the number of nodding heads at Bernard’s impassioned outburst, suggested he was not alone in finding the class too difficult. We reached a mutual conclusion: time to leave. All in Spanish. Never a word out-of-place. Who needed language classes? We decided we’d do as we’d done in France. Cultivate the society of locals, pick up the language in a natural manner, avoid red-faced expats wearing unsuitable clothing. A decision that was to prove our salvation. It was to be the first and only language class in the village. Never repeated. You can lead a horse to water, you can’t make him drink.